Election season is a great time to join the politics beat. The political season is once again upon us. In Grand Rapids alone there are plenty of important events to attend and candidates to meet. Many of us may have grown tired of hearing about politics and the never-ending debates, but that doesn’t mean our ideas and opinions are not important. The Rapidian Politics Beat strives to improve accountability and transparency of our local, state and federal governments by writing about issues and topics that are important to the community. In November of 2011, Rapidian intern and Volunteer of the Year award recipient, Nick Manes started the Politics Beat with high expectations. This Beat has since had the opportunity to meet Vice President Joe Biden, Film Maker Michael Moore, State Representative Justin Amash, Democratic candidate for State Representative Trevor Thomas, several Kent County Commissioners, and many City Commissioners. Politics Beat reporters have attended events such as city commission meetings, town halls, protests, and rallies for many causes including Occupy GR and the War on Women. Politics is not always about elections or laws. Our beat has written on many topics including abortion, fireworks, elimination of elected positions, civil rights, freedom of speech, poverty, movie theaters, funding, trash removal, recycling, labor laws, water protection, housing inspection, Christmas tree disposal, HIV exposure, food trucks, unemployment and election scandals. 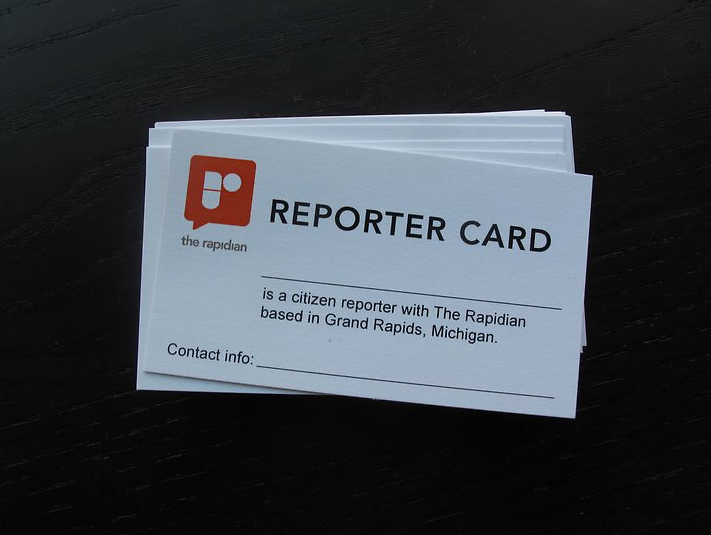 The Rapidian is looking for additional individuals to join the political beat to share thoughts and ideas on local government and the extensive impact it has on our lives. Stop talking back to the television and start talking to your community! The Beat next meets at Graydon's Crossings (located at 1223 Plainfield NE) at 6pm on Tuesday September 18th. We look forward to meeting you!